Beauty boxes are now making a mark here in the Philippines. With this, you'll get a box full of beauty products to try by paying a monthly subscription for their featured brand. Beauty boxes rock because you're getting goodies which are worth more than the price you pay for the subscription. 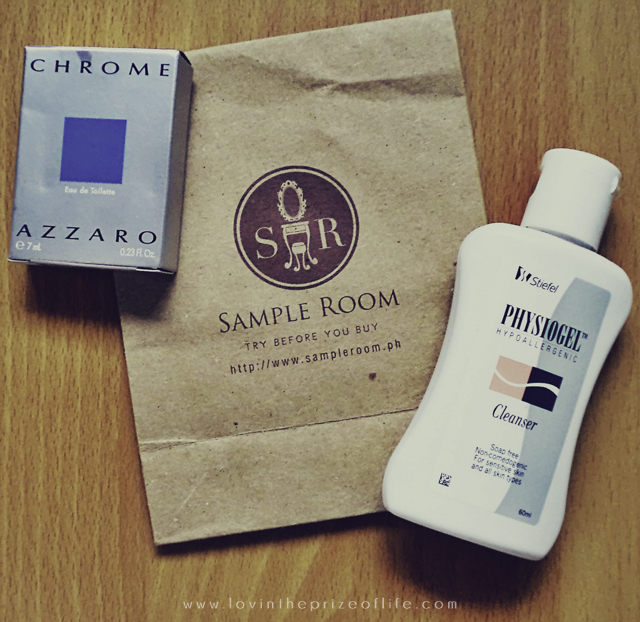 SampleRoom.ph, on the other hand, is far different from these beauty boxes. SampleRoom offers product samples for free! All you need to do is to just pay for the shipping expenses, which I believe is reasonable. Upon registration, you will be given your initial 100 points. There's no need to pay for a monthly subscription, all you have to do is choose the items you want to try. These items have corresponding points which will be deducted from the available points on your account. Once you completed your order, you pay the shipping fee and wait for them to be delivered at your doorstep. As easy as that! 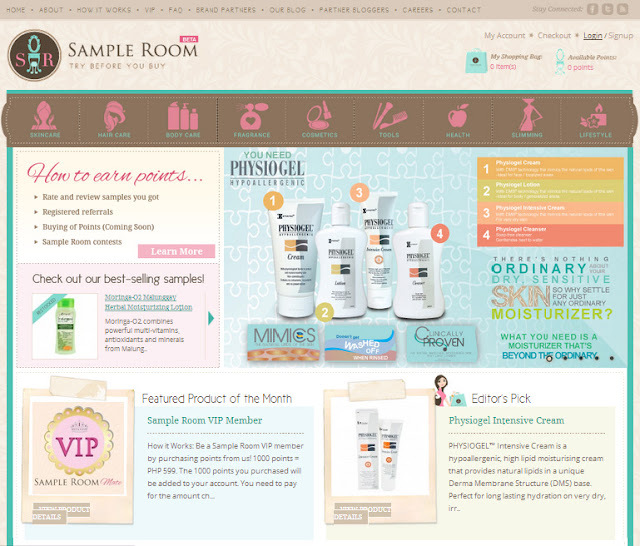 Now once you get the items you will be given enough time to test and review the product. Just don’t forget to follow their guidelines on making an honest review. Once approved, you'll get 1 point for the review and 1 point for rating the product, then the equivalent points of the product will be credited back to your account. This is how the rating and review looked like when approved at SampleRoom. 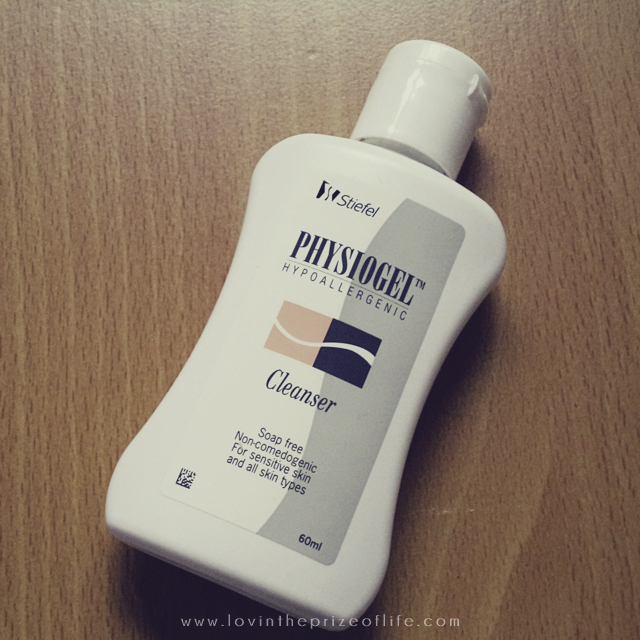 The photo below was my review for Physiogel Cleanser. Another way of earning points with them is by referring your friends. Get 1 point for each friend who registers through your link. So there you go. Now let me show you my first SampleRoom haul! 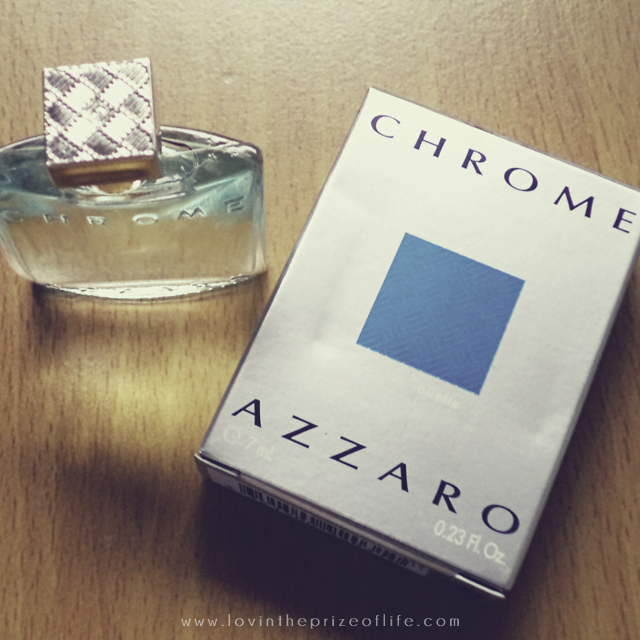 I only chose 2 sample products from them - 17mL Azzaro Chrome which is equivalent to 45 points and 160mL Physiogel Cleanser for 30 points. I only paid Php100 for shipping and were delivered via Xend. The process to get the samples took around 2-3 days, from requesting to the shipment of items. I gave this perfume sample to my husband and loved it right away. He likes that the scent is cool, very masculine, and citrusy. It definitely fits his personality. Amidst the mildness of Physiogel Cleanser, it made my skin smooth and clean. There were no sticky feeling or tightness of the skin on after-use. I also love the fact that it's also safe to use on my daughter. I gave this product a perfect rate! There you go! I hope you enjoyed it as much as I did!